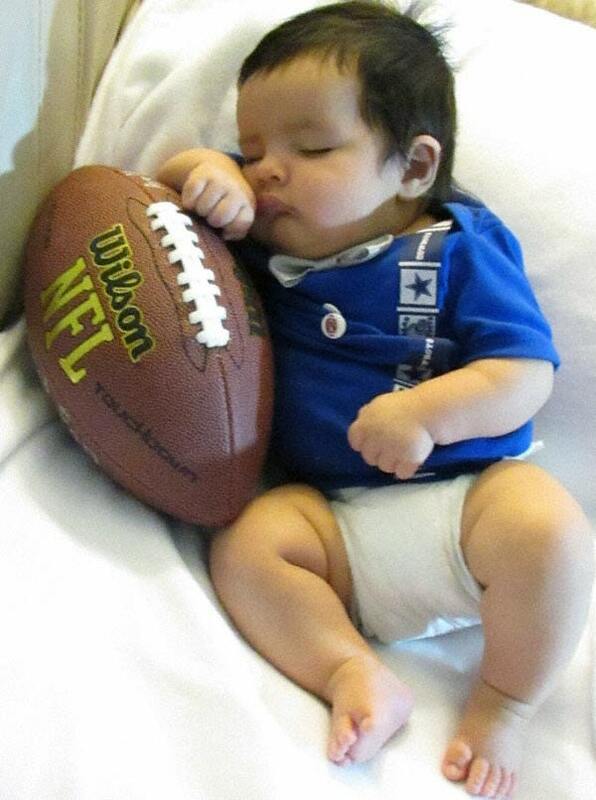 Calling all Dallas Cowboys wee fans! We offer a wide selection of themed ribbon to accent your bodysuit/one piece, if you do not see what you are in search for simply send us a message; we have a vast variety of possibilities! Looking for something handcrafted and special? 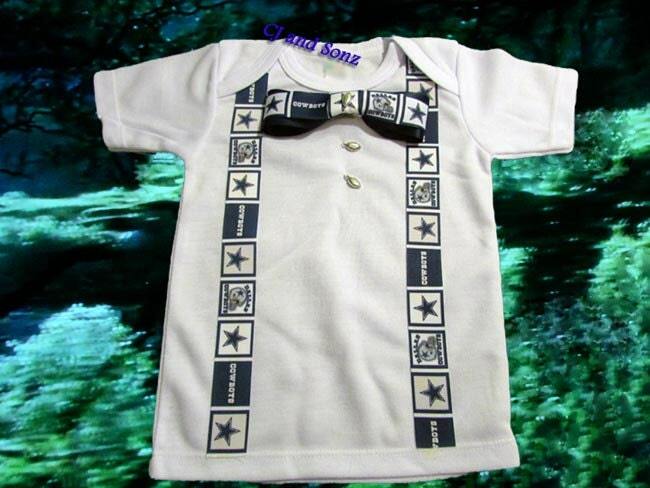 In honor of our newest baby boy and girl additions to our family we are creating a variety of one piece and shirt couture baby items. 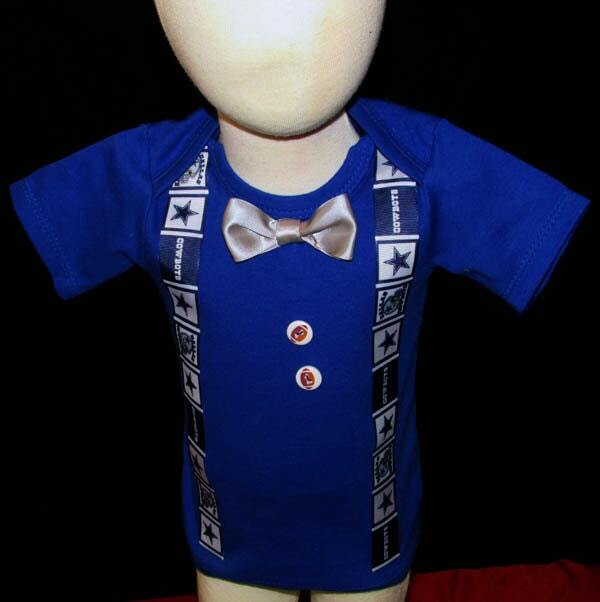 This is created on a brand new One Piece “onesie” or shirt (depending on option chosen). We have many sizes and styles to choose from! 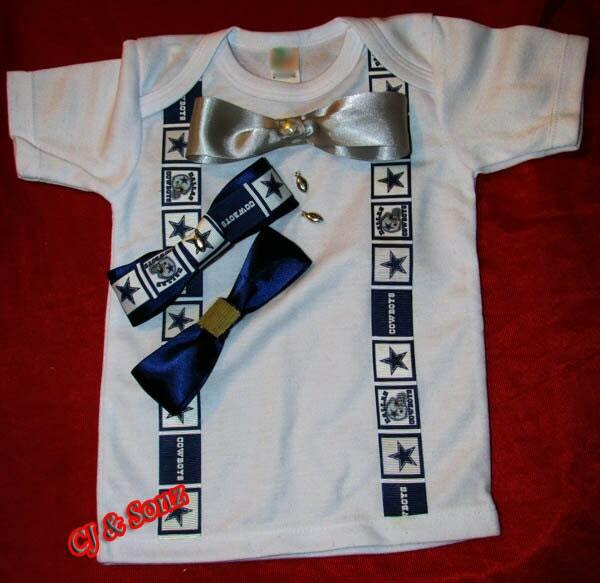 Themed ribbon, (where applicable), embellishments, patches, ribbon or regular bow tie are fused and/or sewn onto the clothing. Velcro ties have velcro attached to both the shirt/bodysuit and each tie. 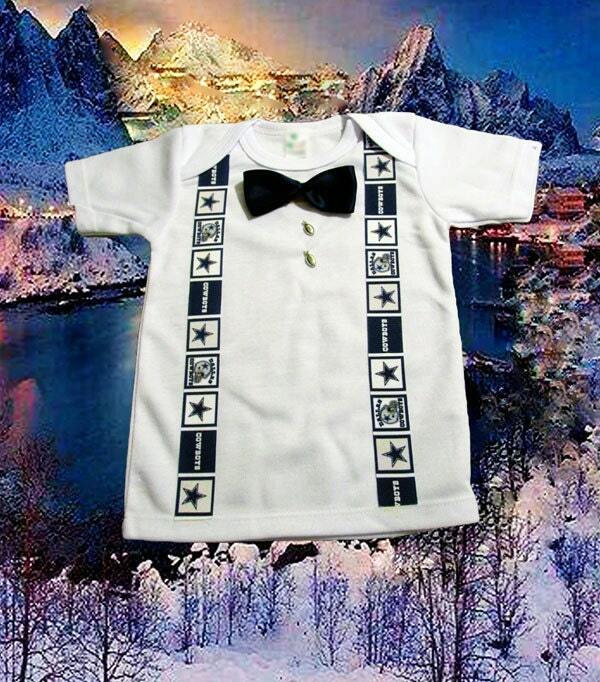 Photos reflect various color bodysuits/shirts; we are offering this in White but will try to accommodate different color requests if you will please send a message to confirm availability; we will most assuredly let you know promptly. White will be sent by default. All embellishments will be chosen randomly based on the theme chosen, please message ASAP if you have a certain style you prefer. IE: We have various style ribbon, resins, buttons, charms, patches and bow ties to choose from and readily available, we are happy to take your requests, if not we will send at our discretion.